We know that everyone has a differing set of priorities, and we want to ensure that what you need and want to achieve is something we completely understand before moving forward. Our approach is a highly personalised service, where we will work closely with you to reach your financial planning objectives, and then move forward from there. Our early discussions often go so far as to cover family members amongst other circumstances, and we enjoy having long-term relationships that often span generations. As part of our services to private clients, we offer financial planning guidance to ensure you protect what you have, and achieve what you need. Financial security is becoming more and more important in today’s world, and keeping you and your family safe and building upon your current circumstances is what we’re great at doing, and would love to work with you for. We provide a holistic review of all aspects of your protection, pension and investment needs, or a more focused service according to your priorities and objectives. When it comes to planning for retirement, most people have not given enough consideration to what is involved. This is a dangerous pitfall and can leave you short of what you need when the time comes to put down the pen or hang up the boots. We will provide an analysis of your existing pension provision and asset allocation, and offer recommendations on a strategy for the future. Pension legislation is complex and constantly changing, and we are specialists in this area. Whether you are saving for retirement, exploring your options at retirement, or considering how to cascade your surplus pension funds to future generations, we can guide you through the pensions maze. Our Inheritance Tax and Estate Planning can give you an insightful analysis of the current Inheritance Tax liability on your estate with solutions on how to mitigate this using the allowances available. These can include insurance, gifting and trust planning to find solutions that balance your needs with your objectives for Inheritance Tax mitigation. Cumberland Place provide expert independent financial and investment advice to professional and lay deputies acting on behalf of recipients of personal injury and medical negligence awards and elderly clients under the Court of Protection. Our personal injury and Court of Protection specialist, Nick Lowy, has extensive experience in dealing in this specialist area and understands the unique and personal nature of each individual’s situation. Combining this knowledge with the investment management expertise and professional resources of Cumberland Place ensures we deliver the highest level of personal service and achieve the optimum balance of income, growth and capital preservation. We discuss the individual’s current and expected future income requirements and agree the most suitable investment strategy to cover their expenditure for as long as possible, whilst making use of all available allowances to mitigate tax. 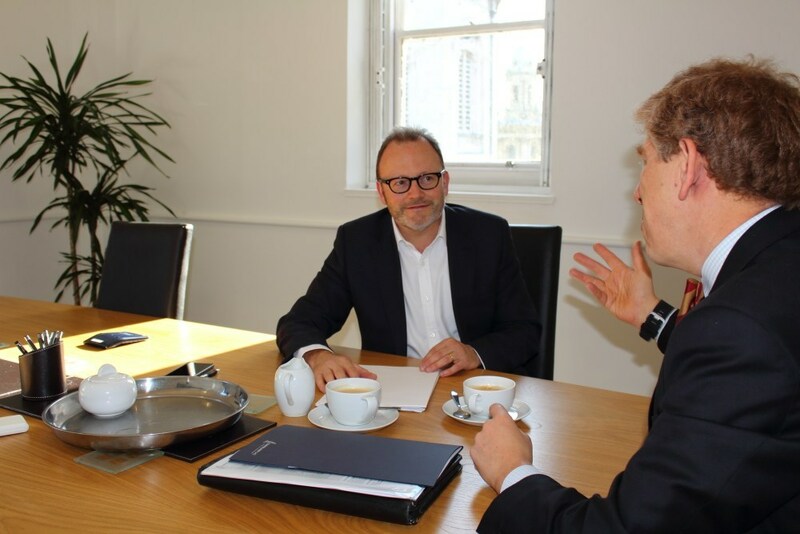 Our advice involves regular meetings (at least annually) to check the individual’s circumstances, confirm or change the investment strategy to ensure it meets their objectives, and to review portfolio performance. Your case is personal and your circumstances unique. We understand that and would love to help you through the process. To find out more about our services contact Nick on 020 7936 0300, or via email: nick@cumberlandplace.co.uk. We can provide you with a review of your individual and/or business protection needs to ensure that you are properly looking after your family, business interests and key people, or protect inter-generational wealth. We can also provide specialist advice around the appropriate use of trusts to ensure assets are distributed tax efficiently and in line with your chosen timing and manner.